CPVC pipe scraps Interested to buy 30 Ton/Month. WE are deal in Carbon Seamless Steel Metal Pipe Scrap. 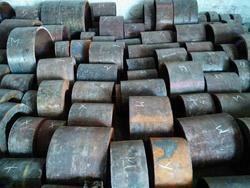 The property processed MS pipe scrap demanded for various industries applications. The MS pipe scrap offered by us is resistance to corrosion and has a long unusable life. We provide steam coal from Indonesia . Our suppliers are well known in the market and provide material on fob/cnf and ready at port basis. We are leading scrap supplier company in Gujarat. We are basically dealing in S. S. Scrap of various grades, S. S pipe, claded plates graded 316 N 304 mainly generated from ship. Right know we are having S. S claded plates in various thickness that is 8 MM, 10 mm, 12 MM, 18 mm. Quantity available as per your requirement. Please contact us. We are counted amongst the top companies involved in offering an extensive range of HDPE Pipe Scrap. These are used for the manufacturing of HDPE pipes. Our products are highly acknowledged among our clients for their reliability and feasible prices. Huge pipe scrap. Ms scrap.